The major in French is a program consisting of ten, three-credit courses in which students pursue studies in French beyond the beginning and intermediate levels. 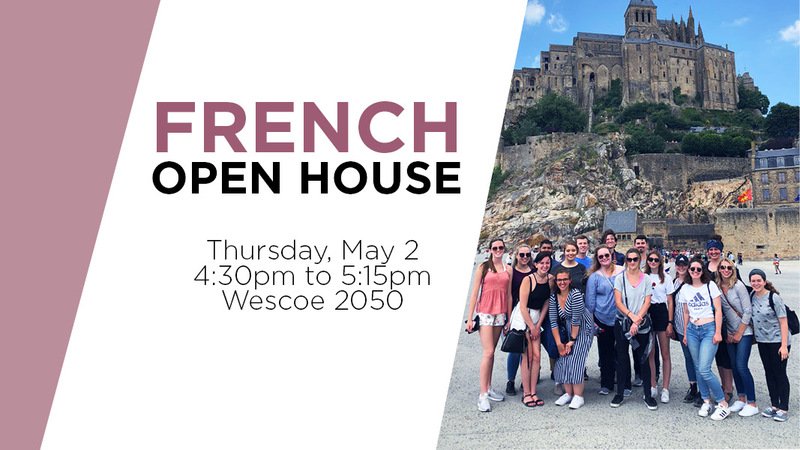 In consultation with departmental advisors, students combine their work with other academic disciplines and develop particular strengths and interests in French literature, language, and culture. The B.A. Option in Italian is a program consisting of eight, three-credit courses in which students pursue studies in Italian beyond the beginning and intermediate levels. In consultation with departmental advisors, students combine their work with other academic disciplines and develop particular strengths and interests in Italian literature, language, and culture. Students pursuing the B.A. Option in Italian are strongly encouraged to study abroad.